Do you remember someone being the teacher’s pet? Was there a favorite child in your family? Can you think of a family in your neighborhood where one child was favored over another? There once was a young man named Joseph. He was the youngest son of Jacob and Rachel, and the great-grandson of Abraham and Sarah. Joseph was Jacob’s favorite. This made his older brothers extremely jealous. When Joseph was 17 years old, his older brothers decided to murder him and throw his body in a well. Fortunately one brother, Reuben, spoke up saving Joseph’s life. Our reading this week is one of my favorites. 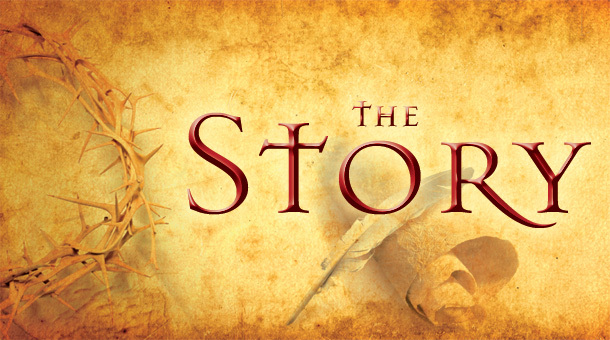 The story of Joseph and his family is an epic tale of a dysfunctional family, intrigue, geopolitics on a grand scale, transformation, and restoration. It’s the story of Joseph who becomes a slave and then the leader of a nation. Joseph’s rise to power in a foreign land was one of pieces of the puzzle God put together to keep the promise made to previous generations. From a human standpoint, Joseph was in the worst place: abandoned by family, sold into slavery, cast into prison (Genesis 39:20-23; The Story, pp 29-32). From a divine perspective, he was in the best place. How do you see God working in Joseph and showing a blessing, even in the pain of these moments in his life? In the darkest times of Joseph’s life we read that “The Lord was with Joseph.” How have you experienced the Lord being with you in the hard times of life? What are some of the signs that God is with you, even in the dark places? Joseph waited two years in prison for someone to remember him and send help. What is a time in your life when you waited for months or years on an answer from the Lord? How did you make it through the long season of waiting? As you walk in Joseph’s shoes, what are the places in your life where you are tempted to surrender your hope and trust in God? How do you keep hope and trust afloat in lift of hard times? So often something good comes from a bad situation. Is there or was there a time when something bad happened in your life but you saw God accomplish something wonderful out of it? At the end of chapter 3 of The Story, Joseph was reunited with his brothers twenty-two years after they sold him into slavery. What strikes you about Joseph’s attitude toward his brothers and the way he treats them? What does this teach you about the condition of his heart and the depth of his faith? Joseph could have retaliated against his brothers for all the wrong they did to him. Instead, he provides for them and extends grace. What makes it hard to forgive people who have wronged you? What can you do to forgive, even when it is difficult? Joseph had to struggle to forgive those who hurt him deeply and needlessly. Do you have anyone you need to forgive? Charles Colson once said, “If I had not been caught and gone to prison, I would have never become the man I am today.” Joseph could have said something similar, “If my brothers had not turned on me, if Potiphar’s wife had not falsely accused me, I would have never ended up meeting Pharaoh’s servants in prison. I might have never become the King’s right-hand man.” Describe how your life would be different if you had never faced a specific time of challenge and struggle. Finish this statement: If I had not________________, I would never have_________________________________. Pray for the families in your Sunday school class, covenant group, church, and community. Pray that they will be healthy and strong and treat one another with grace and love. Thank God for the hard times that have shaped your character and drawn you close to Him. Pray for those you know who are going through difficulties. Ask for God’s comfort and grace. Reflect back on your life. Where has God been at work shaping and forming you . . . even in the hard times? Are there lessons you could have learned that maybe you missed? Ask for eyes to see them and a heart to receive and learn. Are you facing something difficult at this moment? Ask God to help you embrace the experience in such a way that there might be growth and transformation. Forgiveness is one of life’s hardest actions. When someone has really hurt you, it is extremely difficult to forgive. During the next week read Genesis 50:15-21, Matthew 6:9-15, and Matthew 18:21-35. Pray for the courage and strength you need to forgive those who have wronged you. Meditate on Romans 5:8 and ask God to help you understand the depth of his grace so that you can extend that grace to others. Chapter 4 in The Story.